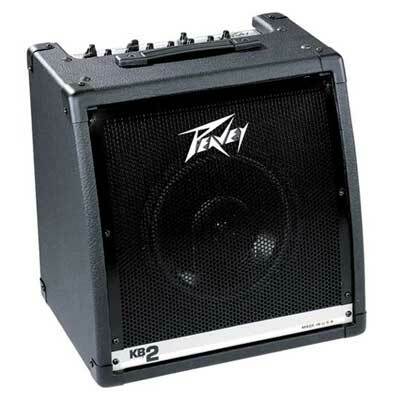 I just bought a Peavey KB2 amp as a one-stop solution for amping my harps and vocals in small rooms. I’m very impressed with this piece, which is a nearly ideal amp in many ways, especially for harmonica players using amp modelers, or those who want their sound loud and clean. The KB2 is relatively small and light at well under 40 pounds. It’s got a 10-inch speaker with a horn, and 50 watts of transistor power split between the horn and woofer. I trust we all know that 50 watts of transistor power is a lot less than the 40 watts of power that a big tube amp like my Sonny Junior Super Sonny puts out; to put it bluntly, the SJSS would cream this amp in head to head competition on sheer volume. But of course the SJSS sells for over 6 times what the KB2 costs. In terms of power, the KB2 has much louder clean output than tube amps selling for the same money ($250), and even amps such as the Fender Blues Junior, which sells for about twice as much. I have no doubt that the KB2 would be a perfectly adequate amp for vocals, harmonica, etc. for a room that seats 50-80 people. Build quality is excellent, as usual for Peavey. The amp has a built-in mixer with three input channels, one of which has an XLR input for lo-z mics. Each channel has its own volume and EQ, 2-band EQ for the line inputs, 3-band for the mic channel. 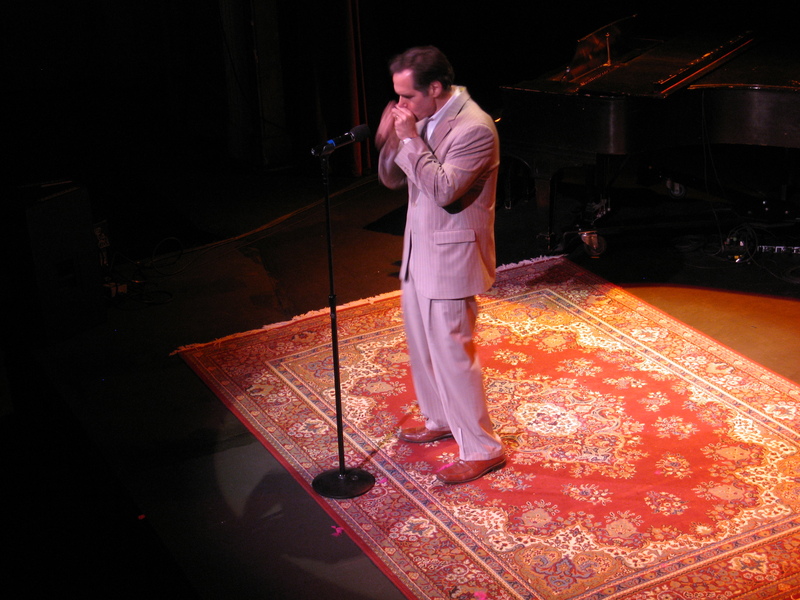 The mic channel does not have phantom power, but few if any harp players will ever require a phantom powered mic on the gig. The sound of the amp is loud and very clean, which is what you want in a keyboard amp or PA. 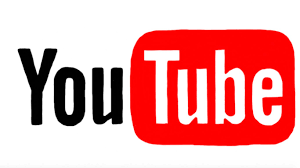 In other words, the sound you get out of it is like the sound you put into it, only louder, which is ideal for players who want a clean sound, or players using an amp modeler. The bass response on the amp is very gratifying–plenty of bottom end for the harp. (To a point. Speaker size limits the wavelength that can be transmitted accurately, and a 10 inch speaker isn’t ideal for handling frequencies below 80 hZ, which is where a double-octave-down pitch shift puts the harp. If you plan to routinely put low bass and drum sounds–like hiphop tracks and loops, for example–through the amp, get an amp with a 12 or 15 inch speaker.) The amp has no built in FX, but it’s easy enough to add a reverb or delay, either in-line between the mic and the amp or in the FX loop that’s provided for this purpose. The amp also includes a balanced XLR output, so for louder venues it can be used as a stage monitor, with the output feeding the band’s PA.
Did I mention that this amp is loud and clean? If you want a distorted blues tone, you’ll need to run something in front of the KB2, or in the FX loop, to dirty up the sound. I run my Digitech RP355 between my mic and this amp; there are plenty of other options out there too for players who want some Chicago in their sound. The big advantage of the KB2 over a tube amp in this regard is that you can easily find inexpensive gear to dirty up the tone from this amp, but you can’t take the dirt out of a tube amp. The amp’s multiple inputs also allow you to run a clean sound on vocals and a dirty sound on the harp at the same time, a very nice option for small gigs where you don’t want or need to bring a lot of gear. The combination of low weight, big sound, low price, and a minimal but very useful set of features (individual channel volume and EQ, FX loop, balanced line out, etc.) makes this amp a very good choice for any harp player who wants a clean sound or a good companion to an amp modeler. My rig in Connecticut includes a Peavey KB/A 100, a much larger (15″ speaker, 65 watts, 55 pounds) and more powerful amp that I’ve used on many gigs. I’m not selling the KB/A 100, but if it ever breaks I’m replacing it with a KB2. Richard: I just bought one, primarily to use as a portable p.a. for vocals and harp, but also as an occasional purely harp amp in front of my Lone Wolf pedals. I am excited and will let you know how it goes. Hope you are doing great! Yo Scott, I’m sure you’re going to find that this amp does the job. I had the opportunity courtesy of Bobby Blackhat to try out a bunch of Lone Wolf pedals at the VA Harmonicafest. The Harp Attack + delay pedals sounded fine in front of my Peavey KBA 100 amp. I’m doing fine, thanks–having a lot of fun building out my solo act to include electronica. Will post video from the VA Harmonicafest at this site soon. Richard, I noticed the KB2 has an effects send/return loop. Can you run the mic straight into the amp without a transformer and then plug the Digitech RP into that effects loop? Or do you run the mic into the RP and then to the amp like I’m doing with my current amps? I don’t like the way the transformer sticks out the back of the RP. Always afraid it will get stepped on and break the jack. A couple of right angle patch cords would look nicer in my opinion. You could use the setup you describe. The KB2 has an XLR input, which you could run a lo-Z mic into without a transformer. 1) Buy a rat-tail transformer to plug into the end of your XLR cable. I have one by Audix that works well. This is about $20-25. 2) Buy a 1/4″ mono female to 1/4″ mono female coupler at radio shack for a few bucks. Add a short 1/4″ cable to one end and plug it into the RP. Put the other end over the plug on your transformer. Presto, a rat tail cable for 1/4 of the price. Great information, I’ve been searching for a small clean amp with an output to use in bands PA and be used as a monitor for small venue gigs. The KB2 looks great but I was hoping to find something a bit lighter and smaller. Any other suggestions. @Ron: a powered speaker might be lighter than the KB2. The KB2 weighs around 35 pounds, so a powered speaker with plastic body instead of wood might cut that by 10 pounds or so. Keep in mind that there’s a limit to how small and light any unit that encloses a 10″ speaker can be, and the speaker itself accounts for a lot of that weight. What is the advantage to the amp over a powered speaker? Powered speakers work very well. Make sure it has enough inputs to meet your needs, and if not budget for a small mixer too. I recommend a unit with at least a 10″ speaker, and no more than 12″–15″ speakers don’t seem to work so well with harmonica.